On 12 April 1945, OCM 27295 recommended limited procurement of the T16. Manufactured by the Cadillac Motor Car Division of General Motors Corporation, the delivery of the first six vehicles was scheduled for June 1945. With the end of the war in August, the requirement was no longer urgent and the T 16s were under test at Aberdeen Proving Ground and Fort Knox for use in the postwar army. 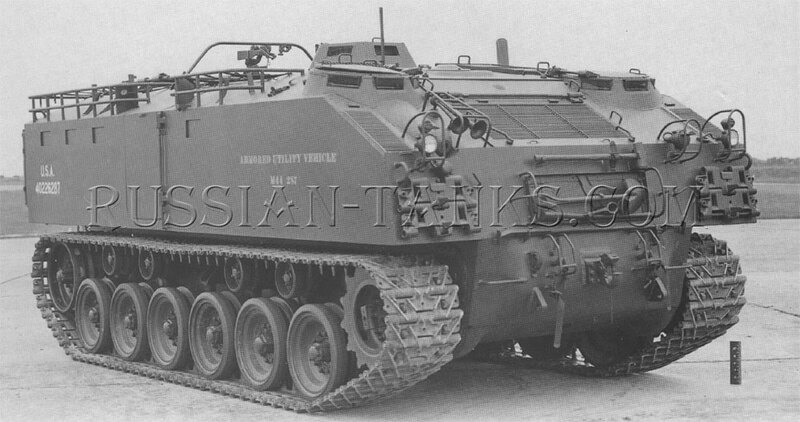 Now designated as the armored utility vehicle M44 (T16), it was evaluated as an armored infantry carrier. 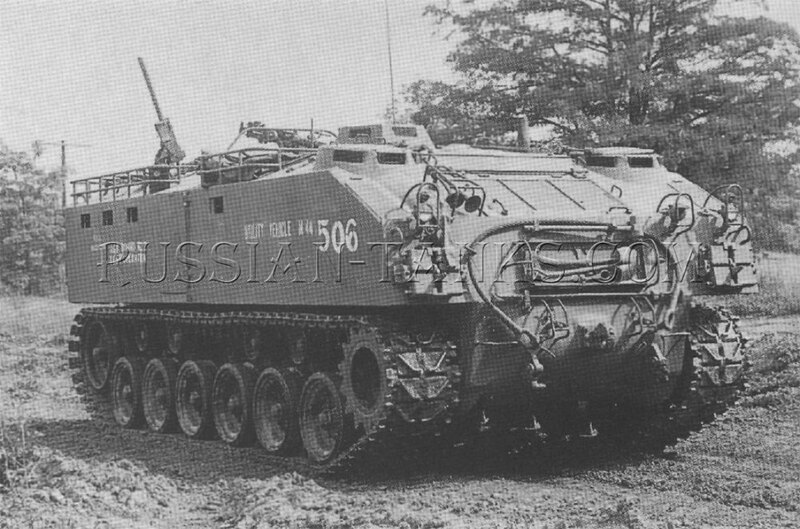 However, doctrine required a squad size vehicle for this application and the M44, with its capacity of 27 men, was far too large. On 31 October 1946, OCM 31172 approved the modification of one pilot M44 (T16) to incorporate various improvements resulting from the proving ground tests and the availability ofnew components. 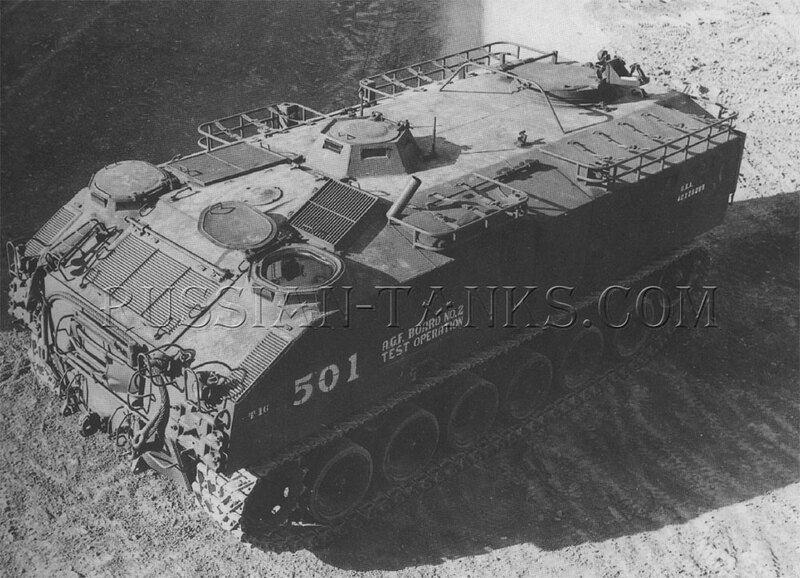 Designated as the armored utility vehicle M44E1, it was powered by the 500 gross horsepower Continental AOS-895-1, air-cooled, engine with the CD-500 cross drive transmission. 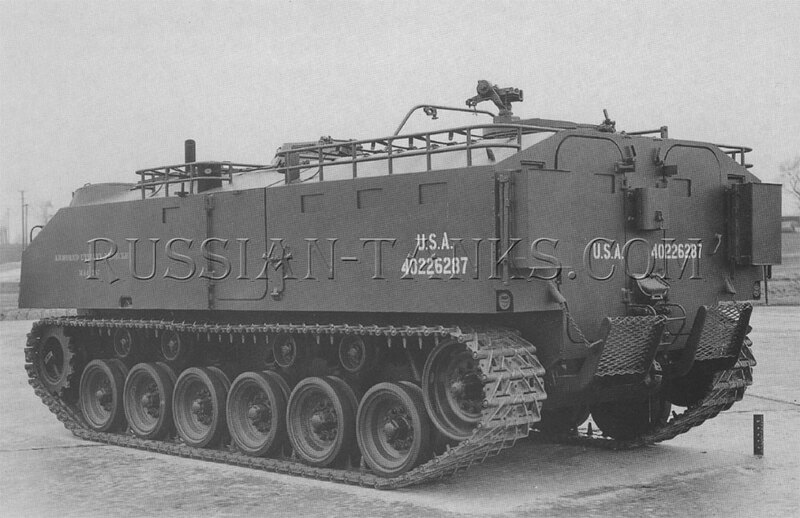 It was fitted with 21 inch wide, double pin, T87 tracks. Other changes included roof sections that could be opened eliminating the need for the side escape doors and pistol ports. The bow machine gun mount also was eliminated. 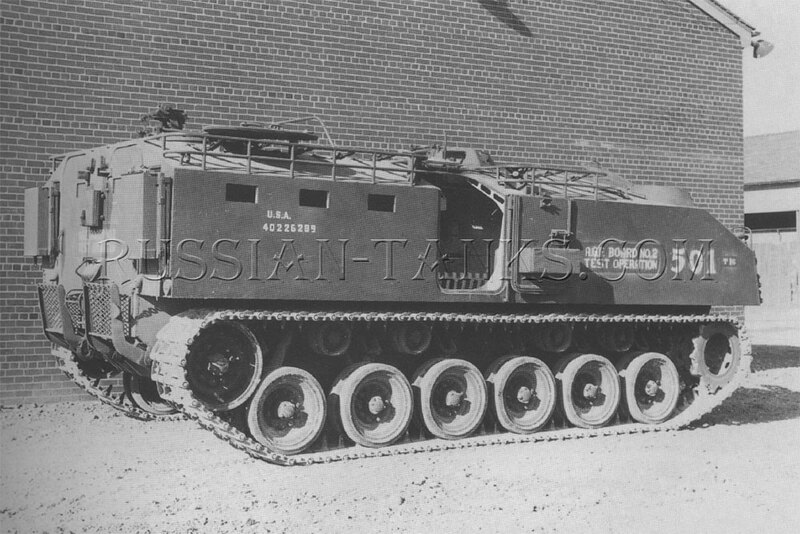 However, it was still the same oversize vehicle and it was not considered for production. 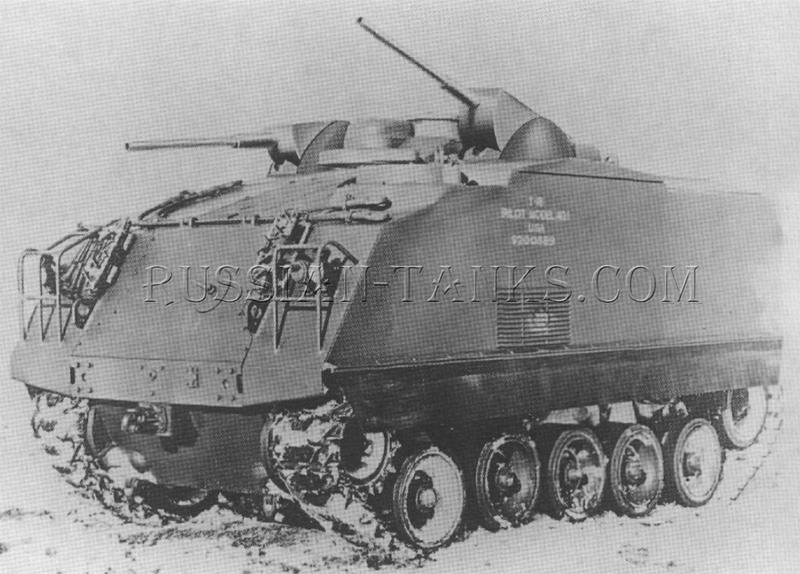 Even before the end of World War II, the need for a squad size armored personnel carrier was obvious. 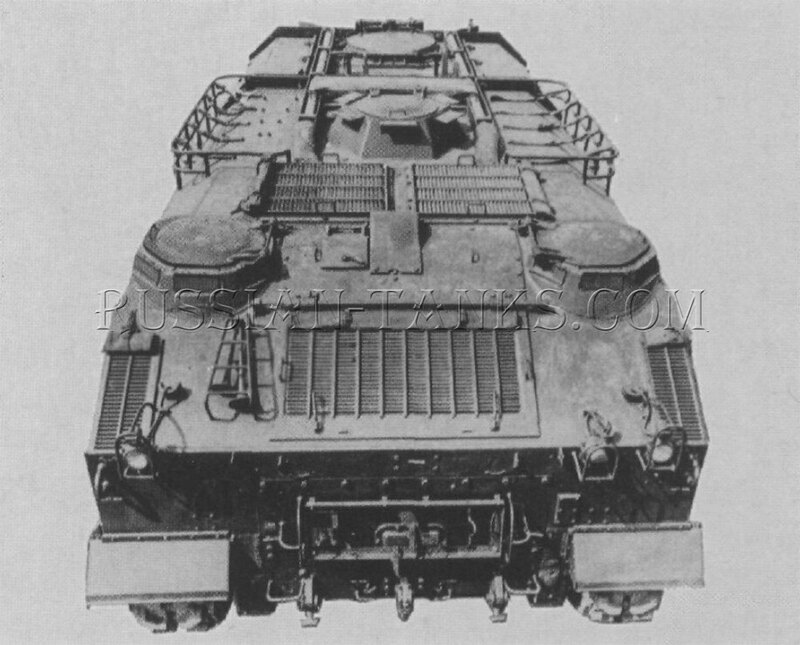 On 21 September 1945, a requirement was established for a full-tracked, 12 man, armored personnel carrier to be based upon the chassis of the cargo tractor T43. 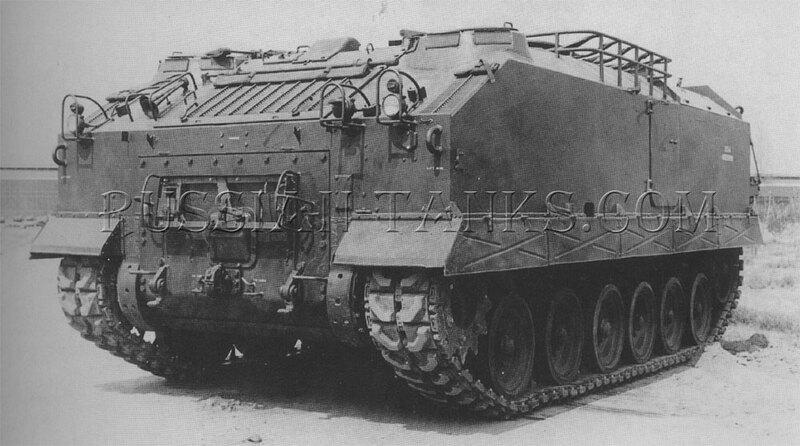 The development of the T43 had been approved by OCM 27382 on 19 April 1945. However, the T43 design utilized a volute spring suspension instead of the preferred torsion bar system. Since it was now planned to adapt the cargo tractor for a variety of vehicles, it was redesigned to use a torsion bar suspension and designated as the cargo tractor T43E1. 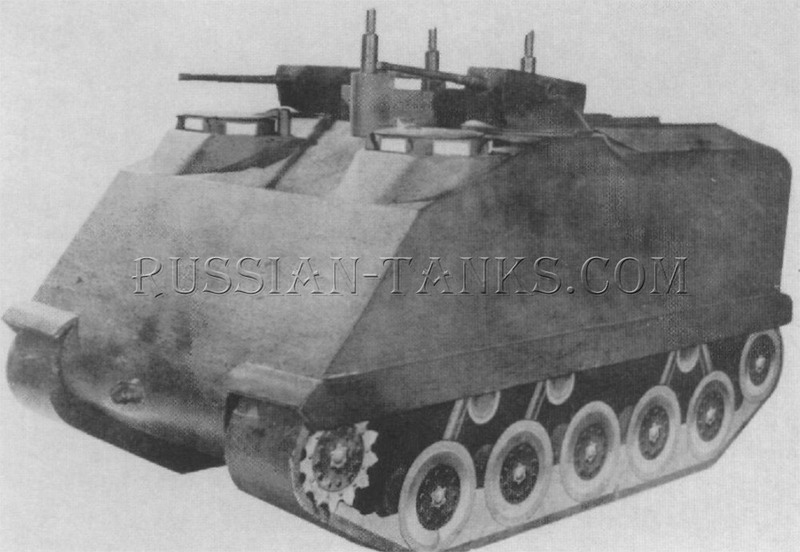 It was the chassis of this later vehicle that provided the basis for the new armored personnel carrier. 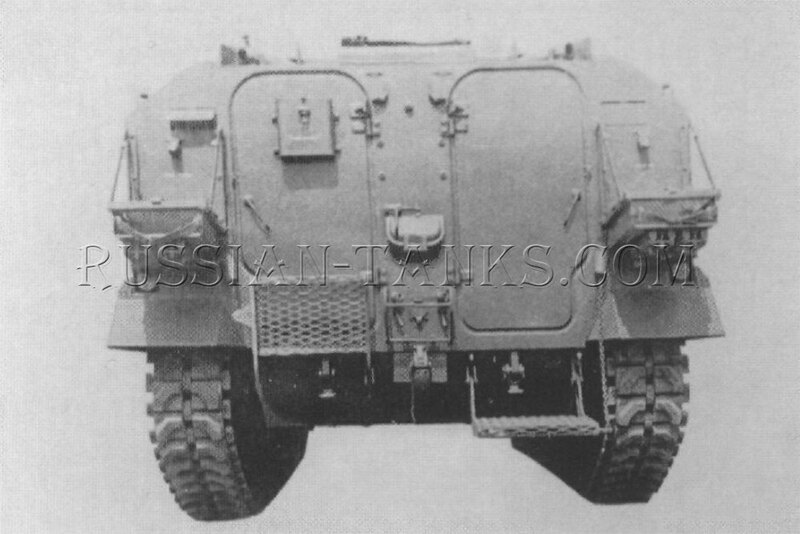 OCM 31057, dated 26 September 1946, approved the development of the armored utility vehicle T18 and the construction of four pilots. International Harvester Company (IHC) was awarded a contract to build the four pilots which differed in some details. 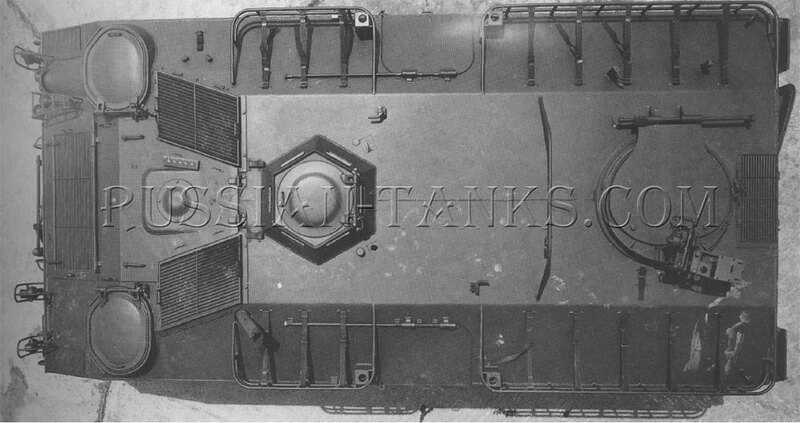 The original mock-up of the T18 located the driver and an assistant driver under separate hatches in the front hull on the left and right sides of the power plant. The vehicle commander was provided with a cupola on the hull roofjust to the rear of the engine compartment. Two .50 caliber machine guns in separate remote control mounts were installed on the hull roof to the left and right of the commander's cupola. Three independent sights were provided to control the machine guns, any one of which could aim one or both of the .50 caliber weapons. One sight was for use by the vehicle commander. Two gunners rode in special seats installed below the other two sighting positions. The remaining personnel were seated in four rows in the rear compartment. 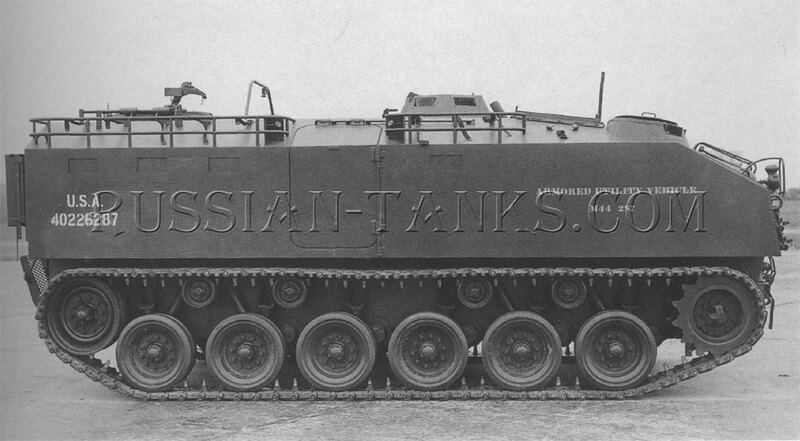 A total crew of 14 was specified under the original design concept (U.S. Army).